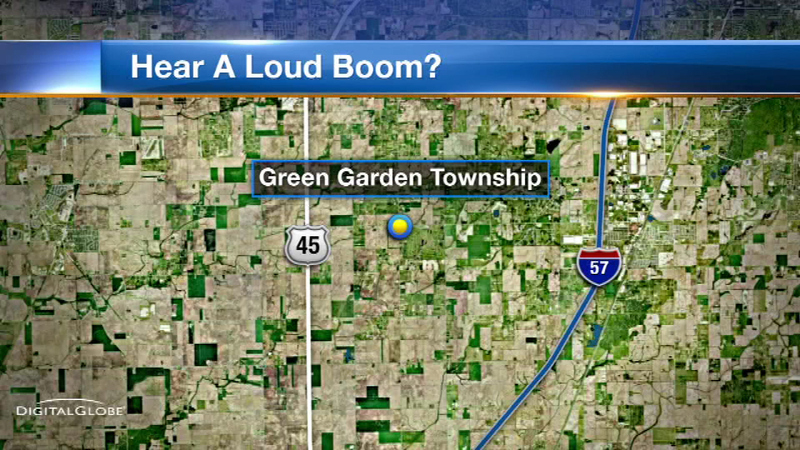 UNINCORPORATED GREEN GARDEN TOWNSHIP, Ill. (WLS) -- Target practice is responsible for the loud boom heard across Will County just after noon on Thursday. Police say two men were shooting rifles at a legal explosive target called tannerite in unincorporated Green Garden Township. The men were found to be in compliance with their firearms and explosives, but officials told ABC7 they may have used three times the normal amount of explosives to create the massive boom.